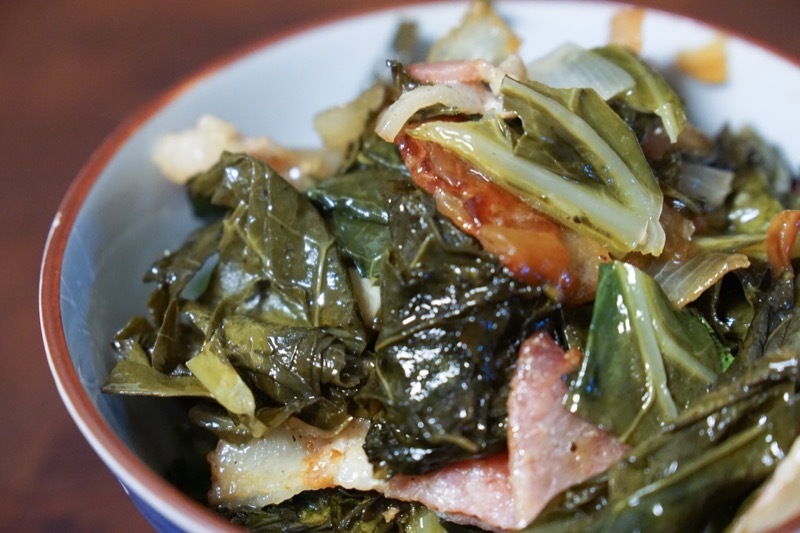 Think collard greens are too bitter? Think again! Cooking these nutritious greens with vinegar and a touch of sugar gives them a sweet/tart flavor that will have you asking for seconds! 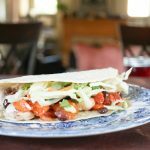 A benefit to living in nearly every major area in the continental U.S. is that we’ve had a chance to sample a variety of local cuisines. (Even if I didn’t write about them on THIH.) 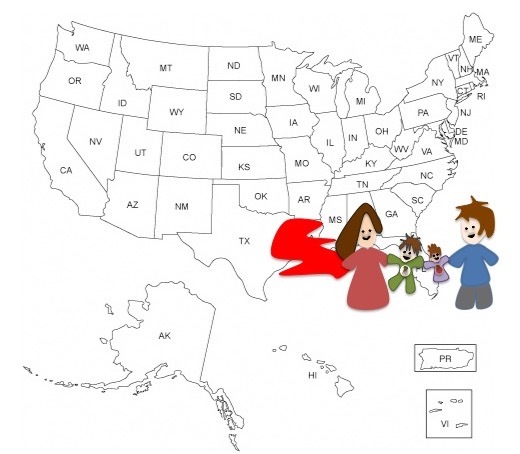 There was wine and coffee and doughnuts in Oregon, deep-dish pizza and pumpkin everything in Illinois, tacos tacos and more tacos in California, and, of course, anything related to our childhoods in the Northeast states. And that’s not to mention all the places to which we’ve traveled. In the Atlantic Ocean and the Gulf of Mexico, obviously. Hello, Jessie? I’m just kind of waiting here. Ah, yes. Food. 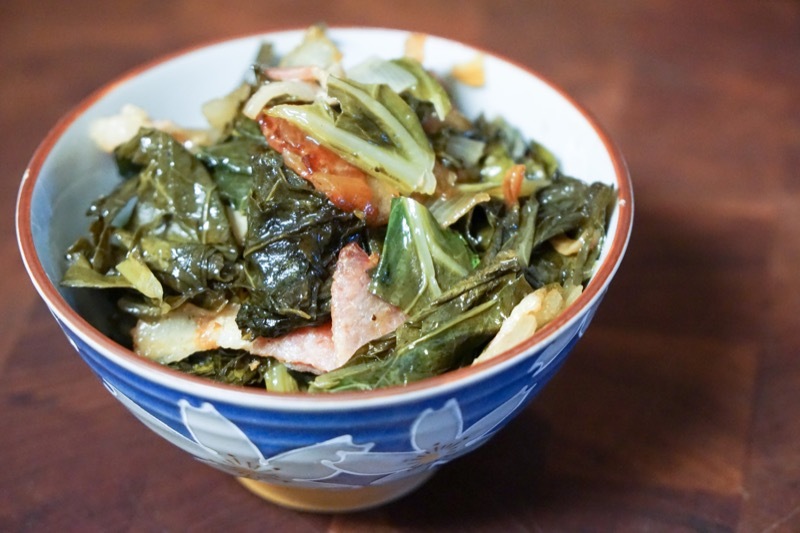 Thanks, staged bowl of collard greens that I didn’t bother to photograph in flattering natural light. You are welcome. Sort of. Please stop the tangents. Can do! 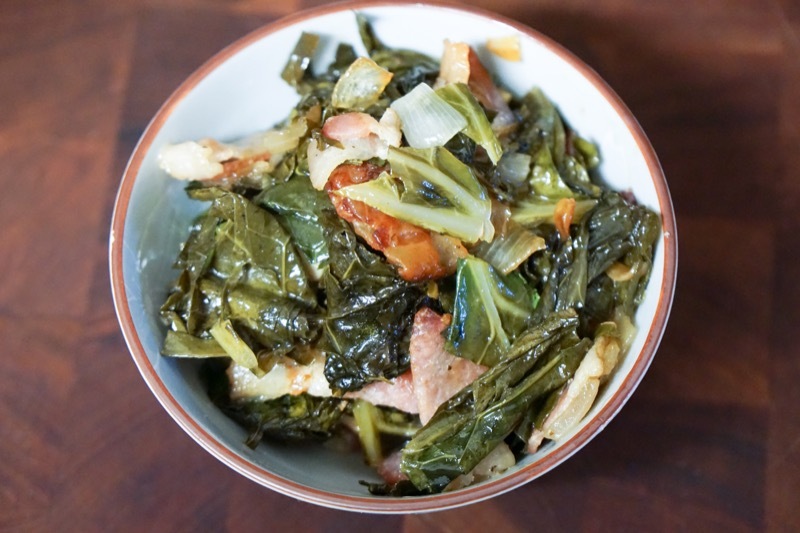 While collard greens are enjoyed in many places, they are most frequently associated with the southern U.S. states. Talk about a bad reputation. 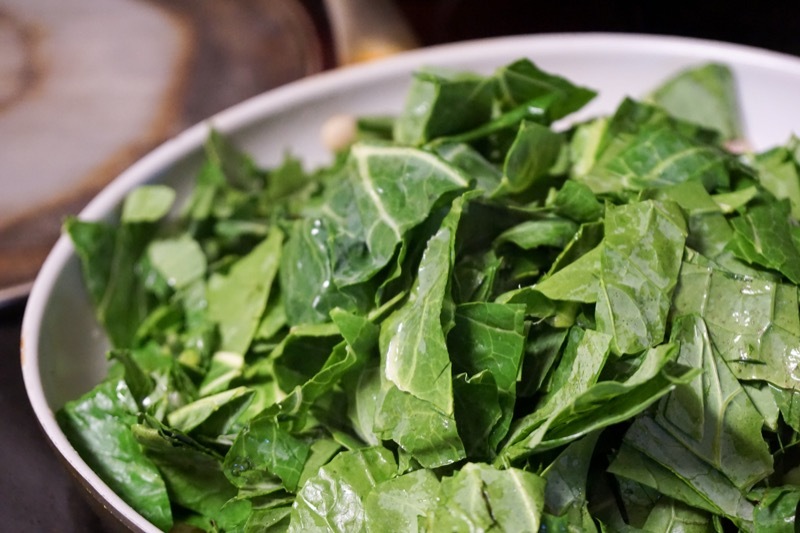 It’s a shame, because this vegetable is packed with fiber, calcium, vitamin C, and vitamins A and K. Plus, phytonutrients in collard greens may benefit your heart and reduce the risk of some cancers. 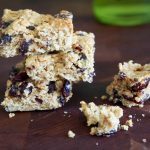 You can enjoy all that nutritious goodness for only 12 calories per cup. Not too shabby. Can I tell you a secret? 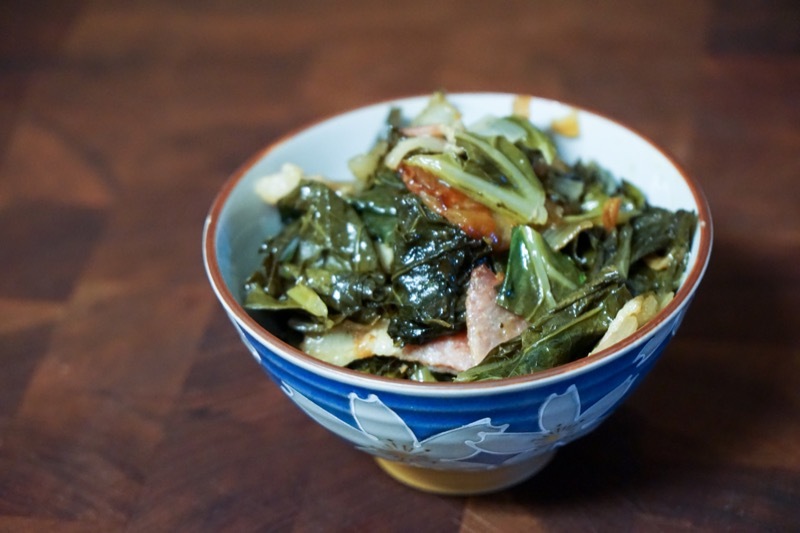 Collard greens, like many other greens, don’t have to taste bitter. 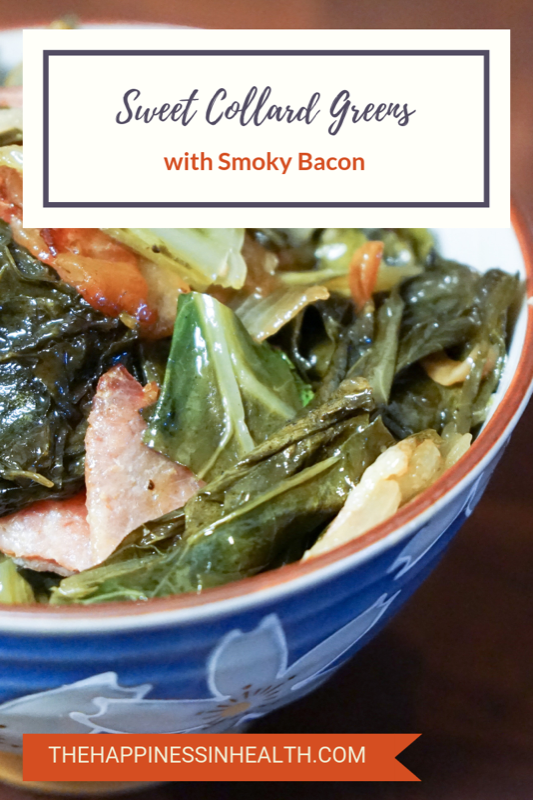 By cooking them with a splash of vinegar, a spoonful (or two) of sugar, and a little bacon, these greens soften and provide a mellow flavor that’s pleasing to the taste buds. Serve this side dish with bread or cornbread to soak up the sauce. Recipe adapted from this one. Heat a large skillet over medium heat. Cook the bacon strips in the skillet until they begin to brown, stirring occasionally to prevent sticking. Add onions and garlic and cook for one minute. Stir in sugar, hot sauce, and vinegar, then bring mixture to a simmer and cook until liquid is reduced by half. Add collard greens and broth/water and bring to a simmer. Reduce temperature to medium-low and simmer until greens are wilted. Serve warm with fresh ground pepper and additional hot sauce. Glad to see you are expounding the deliciousness of collard greens.